Francisco L. Rivera-Batiz is a Professor of Economics and Education at Teachers College, and a Professor of International and Public Affairs (affiliate) at the School of International and Public Affairs at Columbia. 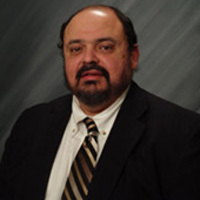 He is the former Director of the Program in Economic Policy Management (SIPA, 1996-2002), Director of the Latino Studies Program (Columbia College, 1997-1999), and Director of the Institute for Urban and Minority Education (Teachers College, 1991-1995). He also held a joint faculty appointment at Columbia’s Economics Department between 1996 and 2002. He is currently affiliated with the Columbia Population Research Center, and the Institute of Latin American Studies. Before joining Columbia's faculty, Dr. Rivera-Batiz held teaching or research appointments at the University of Chicago, the University of Pennsylvania, Rutgers University in New Brunswick, the University of Puerto Rico, and the University of Wisconsin at Madison. He received his Bachelor's degree with Distinction in All Subjects from Cornell University in 1975 and a Ph.D. in Economics from the Massachusetts Institute of Technology in 1979.